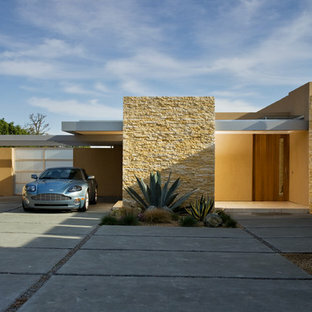 Design ideas for a large modern one-storey yellow exterior in San Francisco with mixed siding and a flat roof. 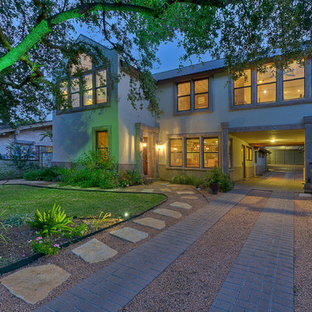 This is an example of a traditional two-storey exterior in Austin. 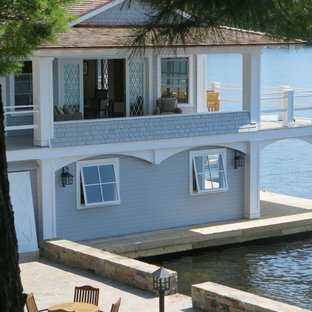 Inspiration for a traditional two-storey beige exterior in New York with mixed siding. This is an example of a contemporary exterior in San Francisco with wood siding. Inspiration for a mediterranean two-storey white exterior in Minneapolis. 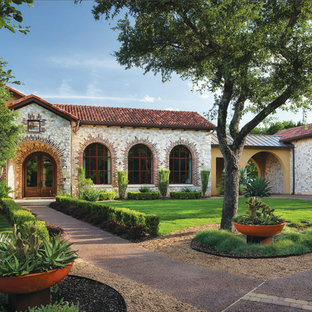 Mediterranean exterior in Austin with stone veneer. Inspiration for a mid-sized beach style two-storey grey exterior in Toronto with wood siding and a hip roof. Design ideas for a mediterranean two-storey exterior in Miami with wood siding. 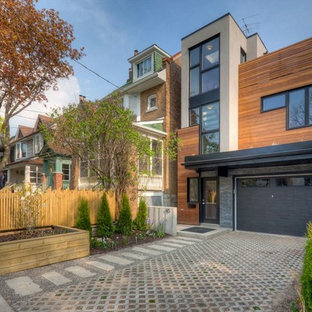 Design ideas for a contemporary exterior in Toronto with wood siding. Design ideas for an expansive tropical two-storey exterior in Miami with a hip roof. Stunning mountain contemporary home located in Cliffs Valley, SC. This is an example of a traditional two-storey exterior in Other. Design ideas for a contemporary two-storey white exterior in Perth with a flat roof. Design ideas for a country exterior in Denver with stone veneer. Beautiful English Tudor home and gardens located in Dallas, Texas featuring lush gardens, swimming pool, koi pond, fire pit, motor court and private gardens. 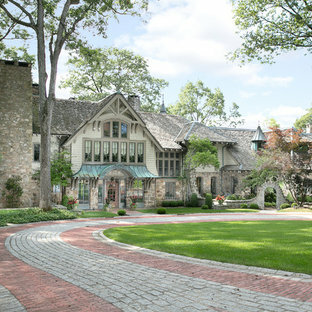 This is an example of an arts and crafts brick exterior in Other with a gable roof. Photo of a country exterior in Chicago with wood siding and a gable roof.